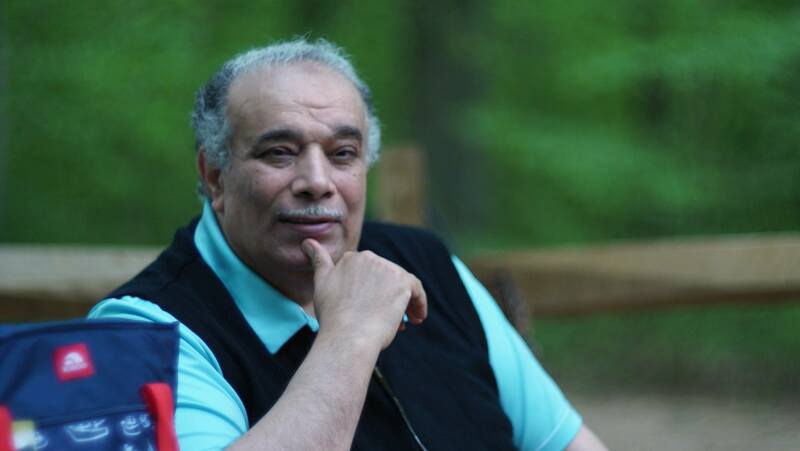 We, Dr. Ahmed Subhy Mansour, as an American citizen, of Egyptian origin, who is loyal to his country, the USA, state the following points in this brief article. 1- President Trump has raised two mottoes: (Make America great again) and (Keep America safe), and we have no doubts whatsoever in his faithfulness and sincerity. Yet, some of the policies of President Trump do not contribute to realizing both mottoes. 2- The former president, Obama, never made the USA great at all when he kneeled to the late Saudi king Abdullah and when he allowed the Saudis to insult him at Al-Riyadh airport by never finding a reception that would fit an American president. President Trump has a different and stronger character; his manner of talking while rebuking the KSA severely frightened the Saudis and the rest of the Arab tyrants. This is clear when President Trump has received the Jordanian king and the Saudi successor of the crown prince. Apparently, President Trump has given commands to settle disputes between the KSA and Egypt over the two Red Sea islands and Saudi oil that is exported again to Egypt. We can say that President Trump has given commands to both King Salman and President Al-Sisi of Egypt; we wait for this foreign policy of President Trump to go on to serve the USA interests in the Middle East. 3- American foreign policies – as they should be – are to make the USA as real pioneer leader of the free world by guarding and protecting rights of nations, and making all these nations, and their callers for freedom and democracy, wait for the USA to save them from being tortured and oppressed by tyrants. These American foreign policies will certainly add to making the USA great indeed and protect its internal security. 4- Let us take an example from events that has occurred recently in Egypt; when President Trump met with President Al-Sisi and celebrated his visit while praising him for his fighting terrorism, ISIS terrorists have made this swift reaction: suicide bombings in two Egyptian churches in the cities of Alexandria and Tanta, with 45 dead persons and tens of injured ones. Such terrorist actions show that President Al-Sisi has failed miserably to face terrorism inside Egypt; ISIS can strike anytime anywhere inside Egyptian soil, especially when ISIS terrorists massacre Egyptian Copts so easily! 5- The nearness of President Trump toward President Al-Sisi will serve both the USA and Egypt if the following points are taken into consideration. 5/1: If President Trump would command President Al-Sisi to apply reform of the Cairo-based Al-Azhar institution, a Vatican-like entity revered by Sunnites worldwide who form the vast majority of 'Muslims' (or the Muhammadans) that controls religious life of Egyptians who constitute more than 50% of the Arab population, the USA will benefit a lot from this. Al-Azhar institution has been since the 1970s obsequiously subservient to the KSA and its Wahabi religion of terrorism, the wicked religion that has produced the terrorist MB organization, and all secret and overt terrorist organizations under it, as well as other terrorist organizations like Al-Qaeda and ISIS. Al-Azhar institution spreads now, since the 1970s, the religious culture of ISIS and protects such horrid culture from being questioned and criticized. The heavy influence of Al-Azhar institution (because of the KSA money) is the cause of punishing (by incarceration) anyone inside Egypt criticizing the ISIS Wahabi ideology. Some graduates of Al-Azhar University work at American mosques, thus posing a veritable threat to the USA inside American soil with their jihadist Wahabi ISIS ideology. This means that leaving Al-Azhar institution without introducing reform is threatening both the USA and Egypt. In fact, President Al-Sisi has attempted to introduce a measure of reform to Al-Azhar institution and Al-Azhar University, but he has not been serious enough about it; proof: one of the Quranist preachers who called outspokenly for religious reform is now incarcerated in Egypt, accused of contempt of religion. Another proof is unprecedented constitutional authority given to Al-Azhar institution recently. President Trump can command President Al-Sisi to apply reform of Al-Azhar to turn it into a tool to destroy ISIS to save Egypt, the USA, and the whole world. President Trump can command President Al-Sisi to release incarcerated people who expressed their opinions and to stop torturing people as well as to allow freedom of expression after annulling the corrupt law of punishing in prison those who allegedly show ''contempt of religion'', so that the religion of ISIS is refuted outspokenly, and this will dry sources of Wahabi terrorism. This way, the USA will gain the love and respect of all Egyptians. 5/2: If President Trump would command President Al-Sisi to apply legislative reform that will lead directly to real and viable democratic transition, the Egyptian military would return to its barracks to keep its only mission (i.e., protecting Egyptian soil) and leave Egyptians to rule themselves within a democratic system, as they used to do before the 1952 coup d'état. It is high time, we think, that the USA would help President Al-Sisi and the other generals to leave Egypt; we fear Egypt is on the brink of jumping into a dark abyss; we mean we fear that Egypt might witness chaos or hunger revolts that will benefit ISIS terrorists and threaten Israel and all American interests in the Middle East. We would not like the Mediterranean to be filled with countless fleets of ships carrying Egyptians as refugees to the EU. 5/3: President Trump is the only person who can command President Al-Sisi to do so; and it will serve the interests of the Egyptian President to save his life and live elsewhere in safety as an ex-president protected by the USA. 5/4: If President Trump will do so, he will protect the American soil against Wahabi fabrications of Al-Azhar institution and would raise the good reputation of the USA worldwide, especially in the Middle-East, as the guardian of freedom, democracy, and human rights, and such endeavors in themselves will help a great deal in containing and sieging Iran. 6- When President Trump gets nearer to President Al-Sisi, this may be harmful to both the USA and Egypt when President Trump praises and agrees with the policies of President Al-Sisi. We personally tend to think that about 90 million Egyptians (i.e., all Egyptians) hate President Al-Sisi and all his supporters; those same Egyptians learned in the past decades to hate the USA through media, education, and mosques infested with Wahabis. The reason: the policy of Mubarak focused on directing fury of the Egyptian masses toward Israel and the USA to be vented that way instead of blaming and criticizing the Mubarak regime, as if there were conspiracies against Egypt plotted by Israel and the USA. In fact, most Egyptians believe in such conspiracy theories and Mubarak seemed 'innocent' as all troubles during his era were attributed automatically to American-Israeli 'conspiracies' plotted against Egypt. This means that Mubarak used to get the annual aid from the USA to use such money to incite hatred inside the Egyptian citizens toward the USA; the same crime has been committed by the terrorist MB members during the Mubarak era; they have channeled all deep-seated hatred and frustration inside Arabs and Egyptians toward the USA. Such deep-seated hatred toward the USA has become part of the Wahabi religious culture, and we personally tend to think that such hatred and animosity go on during the presidential term of President Al-Sisi. This poses a veritable danger to the USA; this fuels the war of ISIS waged against the USA, allowing ISIS to succeed in recruiting American 'Muslims' (or rather Wahabi Muhammadans) who would commit terrorist crimes and suicide bombings inside the USA against their fellow American brethren. 7- We do not think that this is what President Trump wants; thus, we address this call – faithfully and sincerely – to him to urge his help in reforming Egypt in order to protect American soil and to assert the greatness of the USA; true greatness is never in what the USA has done in Vietnam, Afghanistan, and Iraq, but when it has helped the weak, oppressed ones in the Balkans and when it protects human rights.